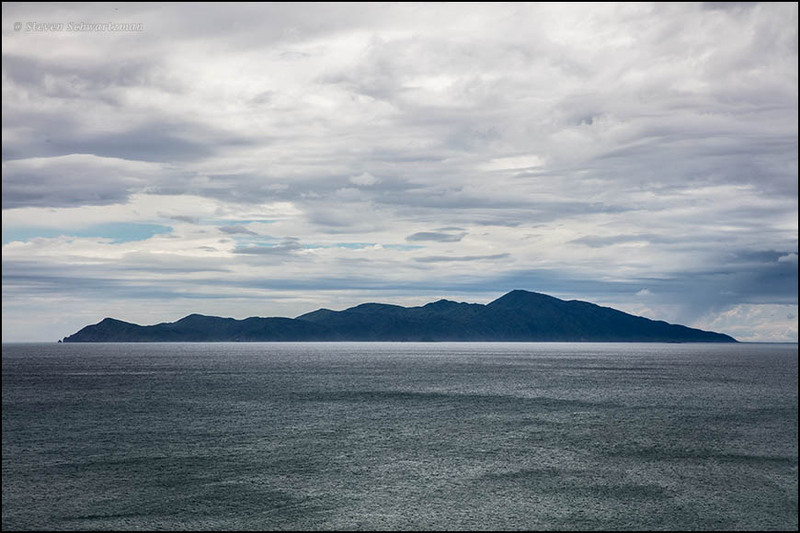 From a year ago today comes this view of Kāpiti Island. 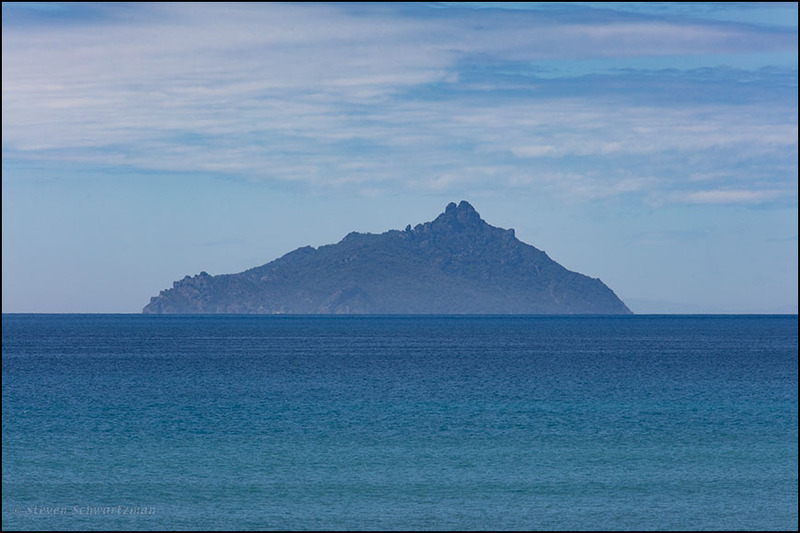 In case you’re wondering about the the post’s title, Kāpiti Island has given its name to a popular brand of dairy products. Heading north from Wellington on the overcast morning of February 22nd, I stopped along SH 1 in the vicinity of Pukerua Bay and took pictures of the jagged coastal rocks. 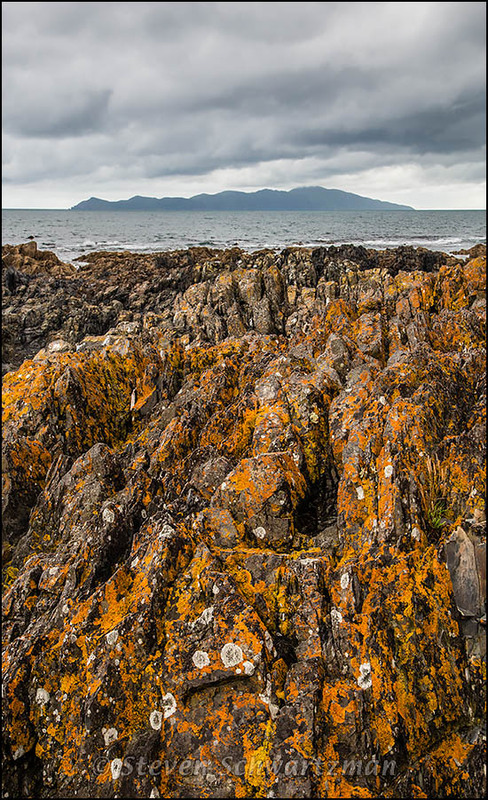 Contrasting in color and definition with those prominent lichen-covered rocks in the foreground is a greyed-out and grey-cloud-covered Kapiti Island in the distance. Though there’s no chalk in the scene, you can chalk up one more vertical landscape.